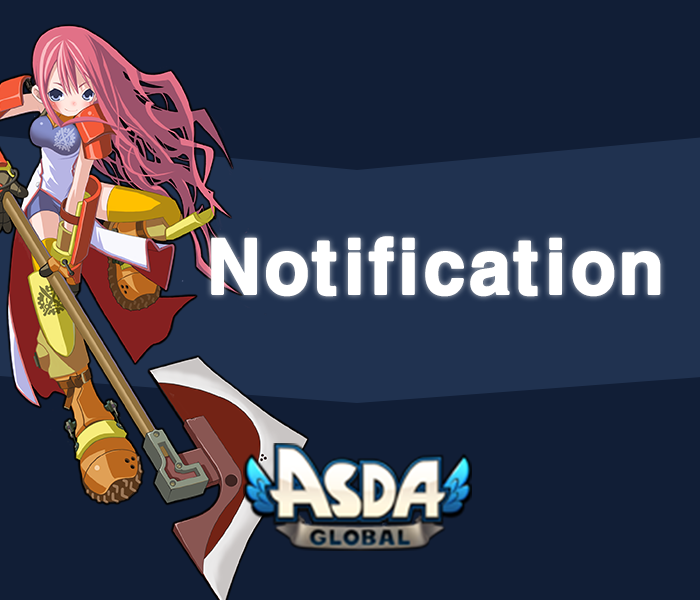 The game rules of ASDA Global that we have used in GamenGame will change to Masangsoft Operation Policy. This will take effect on March 26th, 2019. Please take your time to review our Operation Policy from HERE. ■Attacking the players in their base camp with Arrows and Soul Guardian skills. ■Using multiple accounts of the opposite faction for entering the war to let more players in the battlefields. ■Abusing multiple accounts to earn more points or win the match IS NOT ALLOWED. - If we find these cases from the play/access logs, both accounts (Main character and the infringer) will get banned. ■Taking advantage from auto-Parry with macro or any of 3rd party programs will not be allowed from now on. 1- If we see a warrior who stays in the base or somewhere around the base and keeps using Parry skill only, this will be considered as "Abusing macro/bot", not the actual gameplay. 2- Both main character and bot character's account will be blocked to access on our game by following steps. These are not tolerable in Faction war, and we will consider these cases as 'Abusing bug/Loophole' from now. 1st: 1 day from our service. 2nd: 7 days from our service. 3rd: 30 days from our service. 4th: permanent from our service. *This rule is valid from March 26th, 2019 00:00 (GMT+9). If the punishment item is not listed or the circumstances are special, we may proceed separately in accordance with we operating policy. ©Masangsoft Inc. All rights reserved.